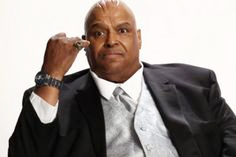 Larry Shreve, better known as Abdullah the Butcher, is a famous pro wrestler. Wrestling, by its very nature, tends to attract violent, tough men; Shreve would be difficult to rival due to the “the shear violence, insanity and chaos created by the “Madman from the Sudan”, Abdullah the Butcher.” He spent over 40 years in the ring and inspired generations of wrestlers. He was inducted into the WWE’s Hall of Fame on April 2, 2011. Born on January 1, 1936 to an impoverished family of ten, Larry Shreve grew up on McDougall Street in Windsor, Ontario. In his youth, he trained in karate and judo. Beginning his career as a professional wrestler in 1967, he continued well into his 60s; Shreve never officially retired. In addition to his successful wrestling career in North America, Shreve was an international superstar, making appearances in the Far East, Europe, the Caribbean, Australia, New Zealand and Africa. Known for drawing his opponent’s blood during every match, he was a thrill to see. Throughout his long career, he has attained multiple titles including Montreal International Champion four times and the Stampede North American Champion five times. Currently residing in Atlanta, Georgia, Larry Shreve is a successful business man who owns a radio station, a church and two restaurants named “Abdullah the Butcher’s House of Ribs and Chinese Food”.